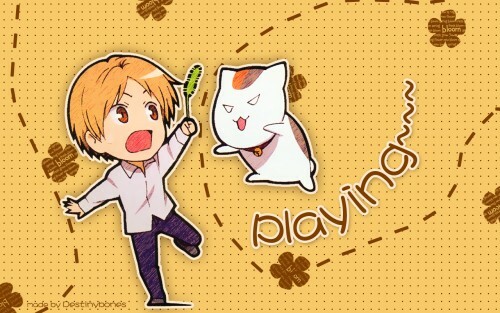 Nyanko-sensei isn't playing, he is going to kill Natsume and get the book of friends XD. Good wallpaper, I love the colors and the background! my heart stopped for a little bit. It is great and really adorable.